Wickline and his girlfriend, Teresa Kemp, spent the night drinking heavily and taking cocaine with Peggy and Christopher Lerch. The following morning, an argument began between Mr. Lerch and Wickline over $6,000 owed to Wickline. According to Kemp, Wickline went upstairs and called for Mr. Lerch to help him. After a few minutes Mr. Wickline came downstairs, and Ms. Kemp went to check on Mr. Lerch, finding him dead in the bathtub with his throat slit. She came downstairs and was ordered by Mr. Wickline to hold the legs of the sleeping Peggy Lerch while he strangled her. Mr. Wickline is thought to have cut up the bodies and disposed of them in dumpsters throughout the city. No bodies were ever found. Wickline was also indicted in West Virginia in April 1985 for the November 1979 decapitation of Charles Morgan Marsh. That charge remained pending at the time of his execution. State v. Wickline, Not Reported in N.E.2d (Ohio App. 1988) (Direct Appeal). State v. Wickline, Not Reported in N.E.2d (Ohio App. 10 1994) (PCR). Wickline v. Mitchell, 319 F.3d 813 (C.A.6 Ohio 2003) (Habeas). Eight-ounce filet mignon, medium rare; potato salad; six rolls with butter; fresh strawberries over shortcake; and butter pecan ice cream. He also received four packs of Pall Mall cigarettes and six cans of pop, including three of Mountain Dew. "May tomorrow see the courts shaped by more wisdom and less politics." Received at DOC: 2/24/84 - Mansfield Correctional Institution. Offenses: B & E, B & E (IN DAYTIME), B & E (IN DAYTIME), AGG MURDER, B & E (IN DAYTIME), B & E (IN DAYTIME), GRAND THEFT, DRUG LAW VIOLATION. LUCASVILLE, Ohio -- A man was executed Tuesday for strangling an unconscious woman with a rope in 1982 after slitting her husband's throat over a $6,000 drug debt. The only witness said the former prison slaughterhouse worker cut up the bodies, which were never found. William D. Wickline, 52, was the 11th inmate to die by injection since Ohio resumed executions in 1999. He was pronounced dead at 10:11 a.m. at the Southern Ohio Correctional Facility. "Carrying out the death sentence today in the case of William Wickline is a fundamental duty that the State of Ohio undertakes with the utmost gravity," Ohio Attorney General Jim Petro said in a release. "The obligation is fulfilled only after careful consideration and an extensive review of the case to ensure the verdict and sentence are within the bounds of law. In this matter, Mr. Wickline's case was reviewed by state and federal courts, and at every level was found to be a fair and just result." Wickline's final statement was, "May tomorrow see the courts shaped by more wisdom and less politics." Wickline slept about five hours Monday night and visited with his brothers early Tuesday, said Andrea Dean, spokeswoman for the state prison system. She said Wickline showered and shaved, and had two cups of coffee and Rice Krispies cereal. He then read the Bible and prayed. On Monday, the U.S. Supreme Court refused to block Wickline's execution. His attorneys argued that his trial lawyers did not try to seek information that could persuade judges to impose life imprisonment instead of death. The appeal was based on a Supreme Court decision last year saying defense attorneys don't need their client's cooperation to conduct such investigations. The court turned down Wickline's appeal without comment. A three-judge panel in 1985 convicted Wickline of killing Christopher and Peggy Lerch (pictured, right) in his Columbus apartment. The Franklin County Common Pleas judges sentenced him to life in prison for Christopher Lerch's murder and to death for the slaying of Mrs. Lerch because she was killed to cover up another crime. The couple, from Blendon Township north of Columbus, was last seen in August 1982. Their bodies were never found. Peggy Lerch's sister, Nancy Fowler, silently held a photo toward the window into the death chamber throughout as soon as he walked in, lowering it only after a corrections officer closed the curtain. The photograph was not visible from behind. Wickline never looked in her direction, instead smiling and giving a thumbs up to his two younger brothers, Robert and David. The witnesses were silent, except for occasional sniffling, for the entire 20 minutes they were in the chamber. Wickline denied killing the couple, portraying the primary witness against him as a jealous, spurned lover who invented a tale to keep custody of her then-infant son after admitting drug use to authorities. Wickline's former girlfriend testified he used a saw to butcher the bodies and had a friend help him throw the bagged parts in trash bins around Columbus. Teresa Kemp's story matched that of informants who didn't testify, including Wickline's former common-law wife and a roommate, police records show. The physical evidence backing her story included bloody tub caulk and dried human tissue on a folding saw, but Wickline's attorneys argued that Kemp had possession of the evidence while he was in prison on a burglary conviction. Kemp testified that the four spent nearly two days on an August 1982 weekend drinking, using cocaine and other drugs. The party moved from the Lerches' house to Wickline's apartment when a violent argument started over money. She said the argument seemed over when Wickline called Chris Lerch to the upstairs bathroom, slit his throat, then came downstairs and made Kemp lie across Mrs. Lerch's legs while he strangled her. The next time Kemp went upstairs, Wickline was in the bathroom holding the severed head of Chris Lerch. Kemp was never charged because she didn't participate in killing Chris Lerch, didn't do much to help kill Mrs. Lerch and prosecutors couldn't find evidence of intent to kill, said Pat Sheeran, an assistant county prosecutor who helped try the case. In Wickline's motion to stop the execution, lawyer David Stebbins argued that Wickline's lawyers did not present evidence of Wickline's history during the penalty phase of his trial in an attempt to avoid a death sentence. However, the state argued that Wickline was deeply involved in his case, said Kim Norris, a spokeswoman for Petro. "He clearly was directing and in control of his defense," she said. A message seeking comment was left for Stebbins. Wickline was moved from death row at the Mansfield Correctional Institution on Monday morning. He spent most of the day talking on the phone to his brother, David Wickline of Columbus, or chatting with members of the execution team, prisons spokeswoman Andrea Dean said. Dean said that about 4 p.m., Wickline was served his "special meal" of an eight-ounce filet mignon, medium rare; potato salad; six rolls with butter; fresh strawberries with shortcake; and butter pecan ice cream. The steak came from the prison kitchen. The other ingredients were bought at a local store for $11.66. He also received four packs of Pall Mall cigarettes and six cans of pop, including three of Mountain Dew. Wickline met with a spiritual adviser, Rev. Gary Sims, a Baptist minister who is the prisons department's religious services administrator. He was laughing as he visited later Monday with brothers David and Robert, who planned to witness the execution, Dean said. After his brothers left, he continued to talk and laugh on the phone with family and friends. William D. Wickline, convicted of a 1982 murder-dismemberment of a Columbus couple and charged in Wood County with the November 1979 murder-decapitation of Charles Morgan Marsh, has exhausted his appeals and is scheduled for execution on March 30. According to a spokesman for the Ohio Supreme Court clerk's office, motions to set Wickline's execution date were granted in December. Lethal injection is the means of execution used in Ohio. According to records from the U.S. Court of Appeals, Sixth Circuit, Wickline's last appeal was denied in January. Wickline was convicted by a three-judge court of 2 counts of aggravated murder in the death of a Columbus couple. The panel sentenced him to life in prison on one count and death on the other. According to records, Wickline had been using cocaine in his home with the couple when he stabbed and decapitated Christopher Lerch and strangled Petty Lerch during an argument over $6,000 in drug money. He cut up their bodies and placed them in trash bins in Columbus, according to investigators. Wickline, 51, was indicted in Wood County in April 1985 for the November 1979 decapitation of Charles Morgan Marsh at a Dry Run Road residence. Charleston attorney Harry G. Deitzler had just been appointed Wood County prosecutor at the time of the death, and he went to the Dry Run Road home that was the crime scene. "I received a call that there was a murder and that a victim's head had been severed. It was, for me as a young prosecutor, in part a learning experience and also an initiation into a major murder crime scene investigation," Deitzler said. At the beginning, there was suspicion it was a burglary committed upon a known drug dealer by his present or former associates. By the way the house was ransacked and appeared to have been searched, most of the investigators agreed whoever was there was looking for money, Deitzler said. The body was lying on a bed, the head was on a nearby night stand. About $30,000 in cash was found under the mattress, Deitzler said. The sheriff's office did the initial investigation, later state police became involved. Then-Trooper William Rectenwald was involved in the investigation and through statements of witnesses, officers discovered other matters and evidence that led to Wickline, Deitzler said. The prosecutor presented the case to a 1985 grand jury and an indictment was returned. After Wickline was convicted in the 1982 murder in Ohio and sentenced to death, Deitzler said his concern was making sure if that conviction or sentence was overturned, Wood County would get Wickline back here to be tried, and that Wickline not be released back into society. "The only way I could provide that insurance for the community was to pursue the indictment and if necessary, trial. We got the indictment and asked the judge for a capias for his arrest and extradition so we could try him on the charges here. If we just let him sit in Ohio then his speedy trial rights would prevent his trial at a later date," Deitzler said. Wickline's attorney objected to extradition, and contacted Deitzler. "We worked out an agreement whereby we would let him stay in Ohio and not try him, if he would waive his right to speedy trial. The agreement was executed, and that's why we were able to leave him a burden to Ohio taxpayers instead of spending West Virginia dollars on the case," Deitzler said. For each arraignment day for the past 18 years, the case has been called and the prosecutor's office has asked the warrant be kept active. "We will probably not dismiss the indictment until we have been notified that he has been executed," Prosecutor Ginny Conley said. Conley recalled hearing about the decapitation murder while still a teen. "Learning someone had actually been beheaded was horrifying," she said. UPDATE: In Columbus, the Ohio Parole Board on Tuesday unanimously recommended denying clemency for a death row inmate convicted of killing a Columbus couple whose dismembered remains were discarded in trash bins. The 9-member board delivered its report to Gov. Bob Taft, who will decide whether to commute William D. Wickline's sentence to life in prison without parole. "Mr. Wickline has failed to accept the responsibility for the crimes he committed and has expressed no remorse," the board said in its 10-page decision. 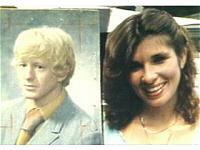 The bodies of Christopher and Peggy Lerch were never found after their August 1982 disappearance. Wickline, 51, was convicted chiefly based on the testimony of his former girlfriend, Teresa Kemp, who said Wickline slit Christopher Lerch's throat over a $6,000 drug debt, then strangled the unconscious Mrs. Lerch with a rope. The death sentence was for Mrs. Lerch's death because the three-judge panel that tried the case ruled she was killed to avoid detection in another crime. Wickline is to be executed by injection March 30 at the Southern Ohio Correctional Facility in Lucasville. His attorney, David Stebbins, has said Wickline maintains he does not know what happened to the Lerches. Stebbins argued before the board last month that there was too little physical evidence to justify the death sentence and asked the board to consider Wickline's exemplary behavior while on death row at Mansfield Correctional Institution. "Kemp's testimony was at times unclear, with sequences of events and blocks of time merged and confused," the board wrote. "However, her testimony was consistent with an earlier statement and was corroborated by other evidence." Taft said Tuesday that his legal staff would review the case and report to him in a few days. He gave no timeline for when he would decide. A telephone message was left with Stebbins' office. Wickline was denied clemency in 1996 and scheduled to die, but a federal judge granted a stay, allowing an appeal to proceed. State and federal courts have since rejected Wickline's claims that he had ineffective trial attorneys. Associated Press - Lucasville - The U.S. Supreme Court on Monday refused to halt the scheduled execution of a man convicted of murdering and dismembering a Columbus couple in 1982. William Wickline, 52, had no other pending appeals before his scheduled execution by injection today at the Southern Ohio Correctional Facility in Lucasville. Wickline's attorneys had argued that his trial lawyers did not try to seek information that could persuade judges to impose life imprisonment instead of death. The appeal was based on a Supreme Court decision last year saying defense attorneys don't need their client's cooperation to conduct such investigations. The court turned down Wickline's appeal without comment. A three-judge panel in 1985 convicted Wickline of killing Christopher and Peggy Lerch in his Columbus apartment. The Franklin County Common Pleas judges sentenced him to life in prison for Christopher Lerch's murder and to death for the slaying of Peggy Lerch because she was killed to cover up another crime. The couple from Blendon Township north of the city were last seen in August 1982. Their bodies were never found. Wickline has denied killing the couple, portraying the primary witness against him as a jealous, spurned lover who invented a tale to keep custody of her then- infant son after admitting drug use to authorities. Wickline would become the 11th inmate to be executed since Ohio resumed carrying out the death penalty in 1999. Gov. Bob Taft last week refused to commute Wickline's sentence. Wickline is scheduled for execution March 30 for the drug-related murders of a couple in the Columbus area in 1982. After killing the husband and wife, Wickline dismembered the bodies and scattered the remains throughout the area, according to the testimony of Wickline's then-girlfriend. The remains have never been found. Wickline was also charged with a murder in West Virginia, in which the victim was beheaded. The murders in Ohio occurred August 14, 1982. The victims were Christopher and Peggy Lerch. Wickline was sentenced to death for the murder of Peggy Lerch. The key evidence against Wickline came from his then-girlfriend, Theresa Kemp, who claims she helped Wickline dispose of the bodies. Wickline killed the couple during an argument over drug money, Kemp testified. Court documents stated that Christopher and Peggy Lerch, Kemp and Wickline had been using cocaine and drinking at Wickline's apartment when the murders occurred. Wickline claimed that Christopher Lerch owed him $6,000. While counting the money to give to Wickline, Christopher Lerch may have reached for a gun. Wickline grabbed the gun and hit Christopher Lerch on the head and then handcuffed him to the table. Kemp also claimed in her testimony that Wickline had struck Christopher Lerch in the head several times. Lerch had previously taunted Wickline, claiming he had had a sexual relationship with Kemp. Wickline cut Christopher Lerch's throat. Wickline later told his girlfriend that they had to "take care of Peggy." While she was passed out, Wickline strangled her with a rope, Kemp claimed in her testimony Kemp held the victim's legs while Wickline strangled Peggy Lerch, court documents stated. After taking both bodies upstairs, Wickline started dismembering the corpses by cutting off Christopher's head, court documented said. In 1984, while Wickline was serving a jail sentence unrelated to the murders, Kemp took handcuffs, jewelry and other items belonging to Christopher and Peggy Lerch and hid them in a safety deposit box. The items were later recovered by the police. The dead couple was last heard from August 12, 1982. A missing persons report on them was filed in late August of that year. Wickline was also indicted for the 1979 murder of a man in West Virginia. The victim, Charles Morgan Marsh, was also decapitated. His body was found on a bed and his head on a nearby nightstand, prosecutors stated. Court documents stated that police were first tipped-off that Wickline may have been involved in the murders of Christopher and Peggy Lerch by an informant. They then questioned Kemp, who told investigators what had happened. The state of Ohio is scheduled to execute William Wickline, a white man, March 30 for the 1982 murders of Peggy and Christopher Lerch, both white, in Columbus. Mr. and Mrs. Lerch were killed because they allegedly owed Mr. Wickline $6,000 for drugs they had purchased. The murders occurred after the Lerches, Mr. Wickline, and Teresa Kemp spent the night drinking heavily and taking cocaine. That morning, after the four had resumed drinking and taking drugs, an argument began between Mr. Lerch and Mr. Wickline over the $6,000 owed to Mr. Wickline. According to Ms. Kemp, Mr. Wickline went upstairs and called for Mr. Lerch to help him. After a few minutes Mr. Wickline came downstairs, and Ms. Kemp went to check on Mr. Lerch, finding him dead in the bathtub with his throat slit. She came downstairs and was ordered by Mr. Wickline to hold the legs of the sleeping Peggy Lerch while he strangled her. Mr. Wickline is thought to have cut up the bodies and disposed of them in dumpsters throughout the city. Because no bodies were found, and there was very little physical evidence, the prosecution’s case rested heavily on the uncorroborated testimony of Teresa Kemp. The defense argues that Ms. Kemp incriminated Mr. Wickline because the police threatened her with the death penalty for her involvement in the murders. The police found Mr. Wickline to be in possession of jewelry belonging to the Lerches, which he claims to have held for collateral against the money he was owed. The defense did not obtain a blood expert, nor were they allowed by Mr. Wickline to investigate or present mental-health evidence, family-member testimony, or evidence of a troubled family background. On appeal, the defense argued that prosecutor’s statements comparing the crime to the burning of Jewish bodies in Nazi concentration camps were prejudicial, but their claim was rejected. The state of Ohio has executed two men in 2004, despite strong evidence that their legal system is not providing those accused of capital murder with an adequate defense. Essentially this means that cases involving constitutional errors, police and prosecutorial misconduct, and actual innocence are pushed blindly through the system. In Mr. Wickline’s case, involving his life or his death, this negligence borders on criminal. There is no evidence that conclusively proves his guilt; thus he should not be executed. Please contact Gov. Taft and urge him to commute the death sentence of Mr. Wickline to life in prison without parole. Please further urge him to support legislation calling for a moratorium on Ohio executions. COLUMBUS - Teresa Kemp says she's been unable to sleep soundly for 22 years, still haunted by the image of her lover holding a man's severed head in his hand. ``Do you know I still walk into a bathroom sometimes and smell blood?'' Kemp wrote last month to the Ohio Parole Board. Trembling on the witness stand, Kemp provided the chief evidence that sent William D. Wickline to death row. She testified that he killed a Columbus couple over a $6,000 drug debt, butchered their bodies and recruited a friend to help throw the remains in trash bins. Barring court intervention, Wickline, 52, is to die by lethal injection Tuesday at the Southern Ohio Correctional Facility in Lucasville. A three-judge panel in 1985 convicted the former Columbus man of killing Christopher and Peggy Lerch. The Franklin County common pleas judges sentenced him to life in prison for Christopher Lerch's murder and to death for the slaying of Peggy Lerch because she was killed to cover up another crime. The couple from Blendon Township north of the city were last seen in August 1982. Their bodies were never found. ``They got themselves in the wrong place at the wrong time,'' said Patricia Keaton, Peggy Lerch's mother, before her husband took the phone and declined an interview request. Peggy Lerch's son from a previous marriage was 4 when she was killed and knows her only from pictures, her family told the parole board. Wickline has denied killing the couple, portraying Kemp as a jealous spurned lover who invented a tale to keep custody of her then-infant son after admitting drug use to authorities. ``That's the one comfort that I have,'' he said before his sentencing, ``is the hope and the belief that they will be found, and I hope that they are found alive, but even if they are found dead, and in one piece, then will she be made to pay back what she has done to me?'' The judges, and appellate courts since then, rejected the argument. Kemp has said she doesn't want to comment before the execution. Wickline, who declined interview requests through prison officials and his attorney, continued arguing his innocence in various appeals and two failed requests for clemency. His last legal stand rests on a U.S. Supreme Court decision last year saying defense attorneys in death penalty cases don't need their client's cooperation to seek information that could persuade judges to impose life imprisonment instead of death. ``His counsel did no investigation for the penalty phase of the case, zero,'' Wickline's attorney David Stebbins said. Appellate courts have said such an investigation wouldn't have mattered, because backgrounds including child abuse and being forced into crime by parents haven't dissuaded judges from imposing the death penalty. A three-judge panel of the 6th U.S. Circuit Court of Appeals rejected Wickline's request for a stay last week, saying it was an old argument. The full court declined to rehear the appeal on Friday. A psychological evaluation from 1974, when Wickline was imprisoned for the second of a series of burglary convictions, said he got along ``fairly well'' with his parents and two younger brothers but started using drugs at age 16. In 1978, his supervisor at a prison slaughterhouse praised Wickline's butchering work as exceptional. Wickline was imprisoned on another burglary conviction when police were tracking down tips that their 2-year-old missing- persons case might be a homicide. Others led them to Kemp, who had married another man a month after the couple disappeared. A friend and Wickline's former common-law wife had told police Wickline told them how he killed the Lerches. Their stories in police reports matched Kemp's. The wife was barred from testifying and the friend told prosecutors he was afraid Wickline would kill him. He was charged with contempt when he refused to testify. ``Wickline was just a scary guy,'' said retired Columbus detective Rick Sheasby, who interviewed the inmate briefly before he was charged. ``He's got those eyes that you can just tell.'' The man who informants and Kemp said helped Wickline dispose of the Lerches fled the state as soon as police started investigating Wickline, Sheasby said. That left only Kemp on the stand. She described their relationship and the weekend of drug use, drinking and fighting that ended with the murders. Kemp said Wickline slit Chris Lerch's throat in an upstairs bathroom while Peggy Lerch was asleep, then came downstairs and forced Kemp to lie across the woman's legs while he strangled her. Kemp was never charged because she didn't do much to help kill Peggy Lerch and prosecutors couldn't find evidence of intent to kill, said Pat Sheeran, an assistant county prosecutor who helped try the case. With no bodies, the physical evidence was scant but matched her story: bloody handcuffs, human blood in caulk from the tub and dried human tissue and blood on a folding saw. Kemp's candor and demeanor on the stand convinced courts of her credibility, Sheeran said. LUCASVILLE, Ohio (AP) -- A man who worked in a prison slaughterhouse was executed Tuesday for strangling a woman after slitting her husband's throat and then dismembering the bodies. William D. Wickline, 52, was the 11th inmate to die by injection since Ohio resumed executions in 1999. He was pronounced dead at 10:11 a.m. at the Southern Ohio Correctional Facility. On Monday, the U.S. Supreme Court had refused to block Wickline's execution. 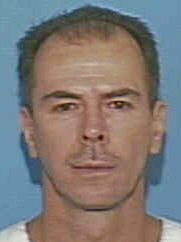 Wickline was convicted in 1985 of killing Christopher and Peggy Lerch in his Columbus apartment over a $6,000 drug debt. He was sentenced to life in prison for Christopher Lerch's murder and to death for the slaying of Peggy Lerch because she was killed to cover up another crime. The victims were never found, but Wickline's former girlfriend testified he used a saw to butcher the bodies and had a friend help him discard the bagged parts in trash bins around Columbus. The testimony by Teresa Kemp matched the account of police informants who didn't testify. Wickline, who previously worked in a prison slaughterhouse while serving time for burglary in the 1970s, denied killing the couple. He portrayed Kemp as a jealous, spurned lover who invented a tale to keep custody of her then-infant son after admitting she used drugs. In a Supreme Court appeal, attorney David Stebbins argued that Wickline's trial lawyers did not investigate his past during the penalty phase of his trial in an effort to avoid a death sentence. However, the state argued that Wickline was deeply involved in his case and directed his defense every step of the way. "He clearly was directing and in control of his defense," said Kim Norris, a spokeswoman for Attorney General Jim Petro. As Wickline walked into the death chamber, Peggy Lerch's sister silently raised a framed photo of her, and held it toward the window from the witness room until a guard closed the curtain after Wickline stopped breathing. Nancy Fowler then embraced the picture. Wickline never looked in her direction, instead smiling and giving a thumbs up to his two younger brothers, Robert and David. "May tomorrow see the courts shaped by more wisdom and less politics," he said in a final statement. LUCASVILLE, Ohio (AP) - A man was executed today for strangling an unconscious woman with a rope after slitting her husband's throat over a $6,000 drug debt. The only witness said the former prison slaughterhouse worker cut up the bodies, which were never found. William D. Wickline, 52, was the 11th inmate to die by injection since Ohio resumed executions in 1999. He was pronounced dead at 10:11 a.m. at the Southern Ohio Correctional Facility. Wickline's final statement was, "May tomorrow see the courts shaped by more wisdom and less politics." Wickline was moved from the Mansfield Correctional Institution to Lucasville on Monday in preparation for today's execution. Wickline was convicted of murdering and dismembering a Columbus couple in 1982. Wickline's lawyer argued Monday that trial lawyers did not do a thorough job of defending him. But the attorney general's office says Wickline directed his defense every step of the way. On Monday, the U.S. Supreme Court refused to block Wickline's execution. His attorneys argued that his trial lawyers did not try to seek information that could persuade judges to impose life imprisonment instead of death. The appeal was based on a Supreme Court decision last year saying defense attorneys don't need their client's cooperation to conduct such investigations. The court turned down Wickline's appeal without comment. A three-judge panel in 1985 convicted Wickline of killing Christopher and Peggy Lerch in his Columbus apartment. The Franklin County Common Pleas judges sentenced him to life in prison for Christopher Lerch's murder and to death for the slaying of Mrs. Lerch because she was killed to cover up another crime. The couple from Blendon Township north of Columbus were last seen in August 1982. Their bodies were never found. Wickline denied killing the couple, portraying the primary witness against him as a jealous, spurned lover who invented a tale to keep custody of her then-infant son after admitting drug use to authorities. In Wickline's motion to stop the execution, lawyer David Stebbins argued that Wickline's lawyers did not present evidence of Wickline's history during the penalty phase of his trial in an attempt to avoid a death sentence. However, the state argued that Wickline was deeply involved in his case, said Kim Norris, a spokeswoman for Attorney General Jim Petro. "He clearly was directing and in control of his defense," she said. A message seeking comment was left for Stebbins. After being moved on Monday, Wickline spent most of the day talking on the phone to his brother, David Wickline of Columbus, or chatting with members of the execution team, prisons spokeswoman Andrea Dean said. Dean said that about 4 p.m., Wickline was served his "special meal" of an eight-ounce filet mignon, medium rare; potato salad; six rolls with butter; fresh strawberries with shortcake; and butter pecan ice cream. The steak came from the prison kitchen. The other ingredients were bought at a local store for $11.66. He also received four packs of Pall Mall cigarettes and six cans of pop, including three of Mountain Dew. Wickline met with a spiritual adviser, Rev. Gary Sims, a Baptist minister who is the prisons department's religious services administrator. Wickline's brothers, David and Robert, planned to witness the execution, Dean said. Pat Sheeran, an assistant Franklin County prosecutor who helped try the case, a Blendon Township detective and Mrs. Lerch's sister, planned to watch the execution as victims' witnesses. On August 25, 1982, a missing persons report was filed concerning Chris and Peggy Lerch. The Lerches were last heard from around August 12, 1982. Approximately two years later, the police, acting on information received from informants, contacted Teresa Kemp. Kemp first denied having knowledge of any killings committed by appellant, William D. Wickline, but later told police that the Lerches were murdered on August 14, 1982 by appellant, at his apartment. The most compelling evidence presented at trial by the state was the testimony of Kemp. Kemp's testimony was at times unclear, with sequences of events and blocks of time merged and confused. However, her testimony was consistent with an earlier statement and was corroborated by other evidence. It revealed that the deaths were the result of a dispute over drug money. Appellant's motive for killing the Lerches was $6,000 that he claimed was owed for cocaine. In her testimony, Kemp revealed that the murders took place after she, Wickline and the Lerches had spent hours taking drugs and drinking heavily. The argument over money did not begin until after the four of them had partied together all night at the Lerches' residence, stopped, and then resumed partying the next morning at appellant's apartment. At one time during the argument, Chris Lerch was handcuffed to the kitchen table and was beaten on the head several times by appellant. Shortly before the murders, Lerch taunted appellant by saying that he had had a physical relationship with Kemp. The argument seemed to end as suddenly as it began. Appellant went upstairs and shortly thereafter called for Chris Lerch to come and help him. Kemp and Peggy Lerch stayed downstairs. When appellant came back downstairs alone, Kemp went upstairs to check on Chris Lerch. She found him dead in the bathtub with his throat slit. She went downstairs and at the order of appellant held the legs of a sleeping Peggy Lerch while appellant strangled her. Appellant then cut up the bodies in the bathtub, placed the parts in trash bags and disposed of them in various dumpsters around the city while Kemp, at the direction of appellant, cleaned the blood from the bathroom. Between the time the Lerches disappeared and the time the police began their investigation, appellant was incarcerated on an unrelated offense. Kemp married another man but continued to visit appellant at prison. At the direction of appellant, Kemp took care of appellant's personal belongings. She placed some items in storage and placed jewelry in a safety deposit box. Eventually, she led the police to these belongings, which later served as corroborating evidence at appellant's trial. Appellant gave an unsworn statement at the mitigation phase of trial. He described his relationship with Kemp as one that had gone sour. While appellant was in prison Kemp often came to visit, even though she was married and had a child. Eventually, appellant told Kemp that their relationship was over and that when he got out of prison he would be trying to make it on his own. Appellant contends that his arrest was the result of a jilted woman spreading rumors to a few friends, one of whom was the wife of the jail inmate who gave police the tip which led to appellant's arrest. Appellant believes that the police intimidated Kemp into describing the murders by threatening her with the death penalty for her involvement. He described Kemp as one who would have no problem lying to the police and even as one who stood to profit financially from the story she told. Appellant claims Kemp now has $10,000 worth of possessions which she took from his apartment after his arrest. In his statement, appellant attempted to discredit Kemp's testimony by pointing out its weakest points. He contends that he had the Lerches' jewelry as collateral for the $6,000 Chris Lerch owed him for cocaine. Further, he insists that it was the Lerches who were fighting and not himself and Chris Lerch. The argument involved Chris Lerch's infidelity and in that context, Chris made the snide remark about being with Kemp at a motel. It was not, as Kemp related, a comment directed at appellant. Appellant denied that he and Chris Lerch even argued that morning. He claimed to have had no involvement in the Lerches' death. For all of the foregoing reasons, appellant's Assignments of Error No. I through XXI are overruled, and the judgment of the trial court is affirmed. Judgment affirmed. Petitioner-appellant, William D. Wickline, Jr., appeals from a judgment of the Franklin County Court of Common Pleas denying, without a hearing, his petition for post-conviction relief pursuant to R.C. 2953.21. On January 9, 1985, petitioner was indicted by the Franklin County Grand Jury on two counts of aggravated murder with death penalty specifications. Petitioner waived his right to a jury trial and elected to be tried by a three- judge panel. At the conclusion of the guilt phase of petitioner's trial on August 7, 1985, the court found petitioner guilty on both counts of aggravated murder and the death penalty specifications related to the second count, but not guilty on the specification related to the first count. The penalty phase of defendant's trial was held on September 13, 1985; on September 20, 1985, petitioner was sentenced to death. Petitioner appealed his conviction to this court and on December 20, 1988, his conviction and sentence were affirmed. State v. Wickline (Dec. 20, 1988), Franklin App. No. 87AP-46, unreported (1988 Opinions 4434). On April 11, 1990, the Ohio Supreme Court likewise affirmed petitioner's conviction and sentence. State v. Wickline (1990), 50 Ohio St.3d 114. Petitioner's petition for writ of certiorari was denied by the United States Supreme Court on October 9, 1990. Wickline v. Ohio (1990), 111 S.Ct. 281. After petitioner's convictions for two counts of aggravated murder and his life imprisonment sentence and death penalty sentence were affirmed on direct appeal, 1988 WL 137170, and 50 Ohio St.3d 114, 552 N.E.2d 913, petitioner filed for writ of habeas corpus. The United States District Court for the Southern District of Ohio, James L. Graham, J., dismissed petition, and granted state's motion to amend judgment to hold that the Antiterrorism and Effective Death Penalty Act (AEDPA) was applicable to petition. Petitioner appealed. The Court of Appeals, Siler, Circuit Judge, held that: (1) defense counsel's performance during sentencing phase was not deficient; (2) even if defense counsel's performance during sentencing phase was deficient, petitioner was not prejudiced; (3) petitioner's claims for ineffective assistance of appellate counsel were procedurally defaulted; (4) Ohio Supreme Court's decision that petitioner was not prejudiced by alleged ineffectiveness of counsel resulting from discovery violations was not contrary to or an unreasonable application of Strickland; (5) prosecutor's comments during sentencing phase did not rise to level of prosecutorial misconduct; and (6) claim that Ohio's death penalty statute encouraged guilty pleas did not warrant habeas relief. Affirmed. SILER, Circuit Judge. Petitioner William D. Wickline, an Ohio death row inmate, appeals the denial of his Rule 59(e) motion to alter or amend the district court's judgment dismissing his petition for a writ of habeas corpus. For the following reasons, we AFFIRM. I. BACKGROUND Wickline was convicted by a three-judge court of two counts of aggravated murder, for the deaths of Christopher and Peggy Lerch. The panel sentenced Wickline to life imprisonment on one count and to death on the other. After unsuccessful direct appeals and state post-conviction proceedings, Wickline filed a petition for a writ of habeas corpus pursuant to 28 U.S.C. § 2254 . Finding that Wickline's forty-two claims were either procedurally defaulted or lacked sufficient merit to warrant granting the writ, the district court dismissed his petition. Both Wickline and respondent (the "State") filed motions to alter or amend the judgment pursuant to Fed.R.Civ.P. 59(e). The district court granted the State's motion and amended the judgment to hold that the Antiterrorism and Effective Death Penalty Act of 1996, Pub.L. No. 104- 132, 110 Stat. 1214 (1996) ("AEDPA"), is applicable to Wickline's petition. Wickline's Rule 59(e) motion was denied.